Lynn Khoury, Rhéa Riachi, Joanna Dahdah and Pascale Sakr. 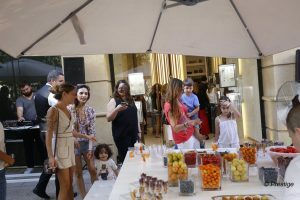 The talented jewelry designer Joanna Dahdah invited media and friends for a fun and amusing afternoon on the occasion of the renovation of her boutique in Achrafieh. 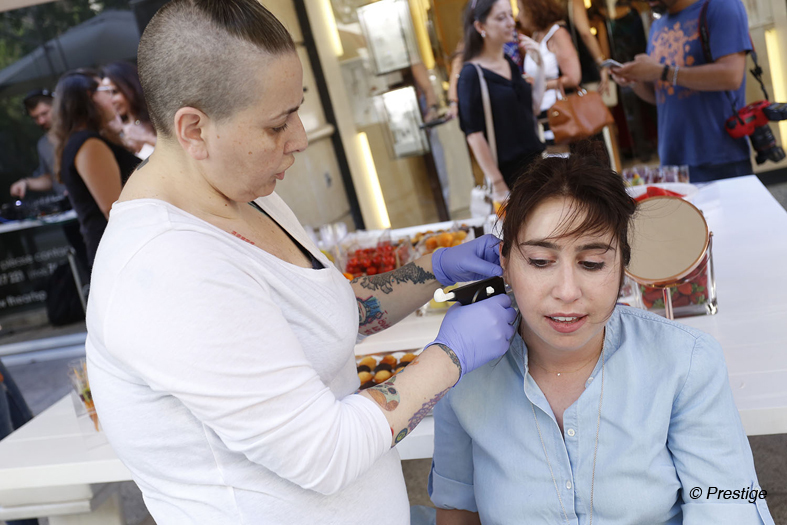 She organized to amuse her guests piercing sessions and lots of gifts. The guests spent memorable moments and were able to see the original and unique designs of their hostess. Hala Adrat, Joanna Dahdah, Pascale Sakr. View of the fun and celebration. 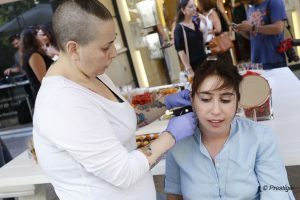 An artist piercing a guest’s ear. Nadine Jabbour and Laura Dahdah. Joanna Dahdah and Marc Nahas.